Rev. Laura C. Cannon is an insightful and creative wedding officiant, and is the owner of Ceremony Officiants. She has personally performed more than 1,000 wedding ceremonies over a 15-year career as a professional officiant, and has a passion for creating interfaith and multi-cultural ceremonies. Her compassionate nature naturally puts clients at ease and helps to create a graceful ceremony. She supports marriage equality and honors all religious, spiritual and secular backgrounds. Creating and performing wedding ceremonies is Rev. Laura’s greatest joy. Marriage is a time when two people come together and proclaim their love for one another and their desire to create a new life together – this union is a sacred event to which Rev. Laura is honored to bear witness. Rev. Laura’s philosophy is that your ceremony should be an accurate reflection of your unique relationship, not just a generic script. She prides herself on working with every couple to create ceremonies that are inspirational, personal, and memorable. Whether your wedding is casual or sophisticated, Rev. Laura will perform a joyful ceremony that fits your style. Rev. Laura is an ordained nondenominational minister and leads SOUL Community Church in Columbia, MD, an interfaith spiritual community honoring all faith traditions. She holds a B.S. from Towson University and an M.A. from Hood College with a specialization in Thanatology and Grief Counseling. Rev. Laura has a passion for all things wellness-related and is also a meditation teacher and 200hr RYT, teaching yoga every week at Coreworks Fitness in Columbia. 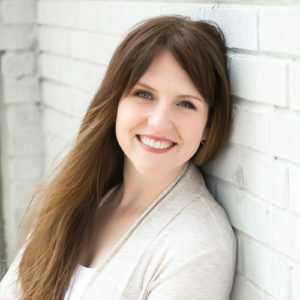 In addition to her work as a minister, Laura is also the president of the International Association of Professional Wedding Officiants, a global membership organization with hundreds of members across 6 continents. As a professional public speaker and member of the prestigious National Speakers Association, Laura frequently travels across the country speaking on topics of business, psychology, and mindfulness related to her recent book, The Conscious Entrepreneur. She currently resides in Ellicott City, MD with her partner Evan and their daughter, Satori.